The new Kojima Productions and Horizon Zero Dawn developer Guerrilla Games share a bond, as Hideo Kojima’s latest project, Death Stranding, is being built with Guerrilla’s cutting-edge Decima Engine. As such, Kojima recently stopped by Guerrilla Games’ Amsterdam offices to show them what he’s been making with the engine, and, well, it sounds like they were impressed. Given their pedigree, Guerrilla Games’ opinion holds a lot of weight. That they were so impressed by Death Stranding says volumes about how the game is shaping up. Here’s hoping we have another full-fledged Kojima masterpiece on our hands! 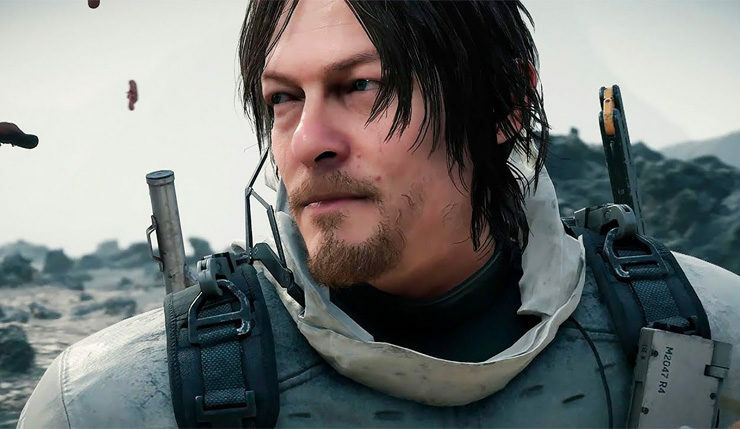 Of course, we still don’t really know what Death Stranding is about, or how it will play. According to Kojima, the goal of the game is to “reconnect the world,” but how it will go about doing that is anybody’s guess. The scope of the game is said to be “huge,” but it’s unlikely to be a full-on open world experience. The game stars Norman Reedus, Mads Mikkelsen, Troy Baker, Emily O’Brien, and Guillermo del Toro. Death Standing is coming exclusively to the PS4. No release date has been confirmed, but the game is expected to launch in 2019 – possibly as soon as the first half of this year.